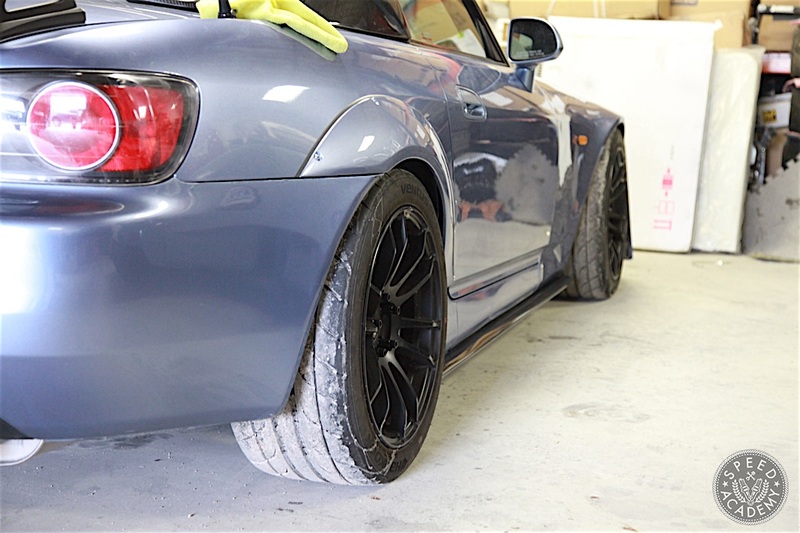 If you haven’t seen our two part video on installing Downforce USA +30mm front fenders and ASM +25 rear over fenders sourced from Evasive Motorsports on our YouTube channel, you can find both at the bottom of this story. 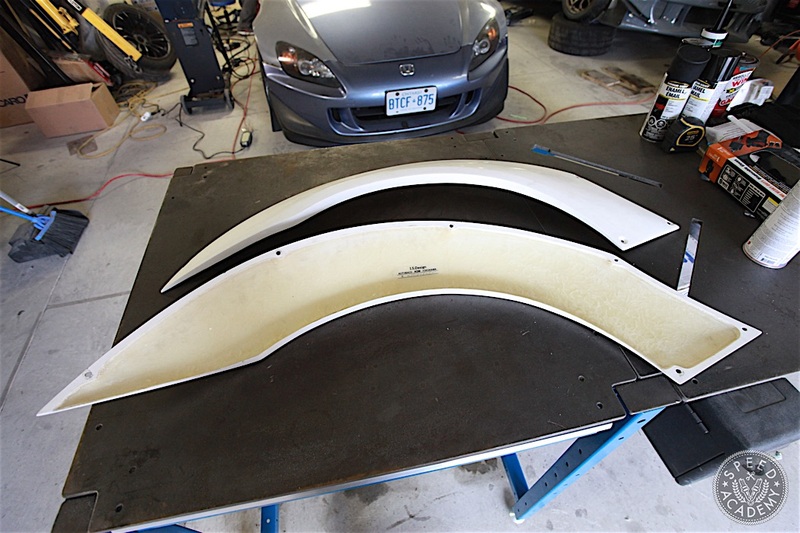 But for those of you who prefer pictures and words, here’s a recap of how we took our Turn14 Distribution supported AP1 S2000 from mangled OE fenders to fresh and clean wide fenders that’ll let us stuff a little extra wheel and tire under the old girl. 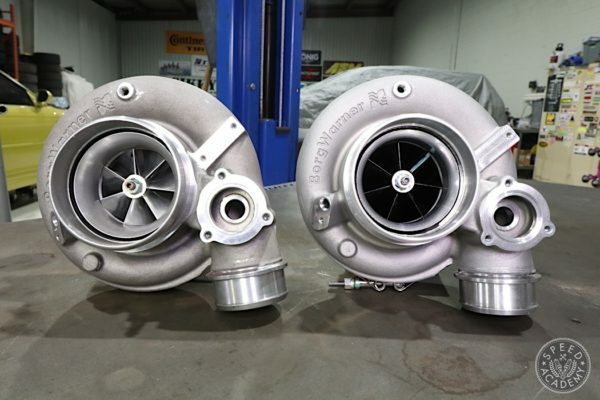 Since Pete was down in Arizona doing an engine build on his 930 Turbo with the dudes at TurboKraft and UMS Tuning, Ken and I started out back since this is a much bigger job than the fronts. 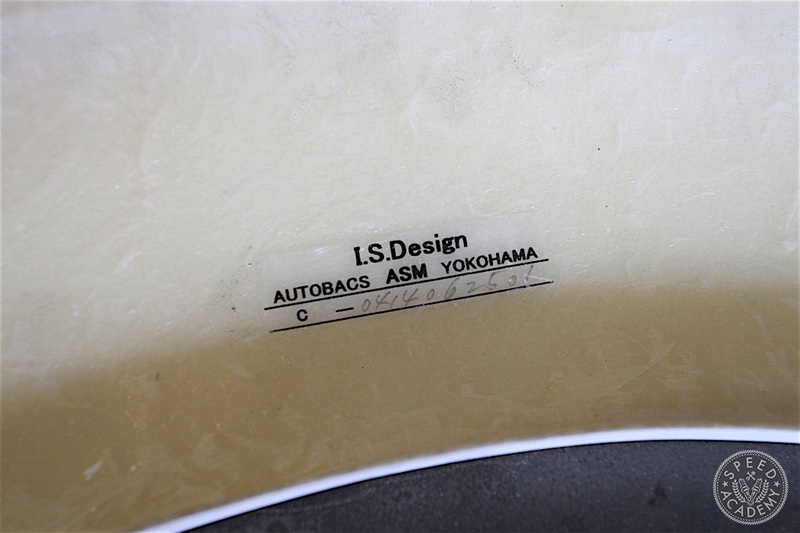 As you can see, these are legit ASM Yokohama rear over fenders, not the icy hot stunta knock-off version you can (but shouldn’t) buy on eBay. 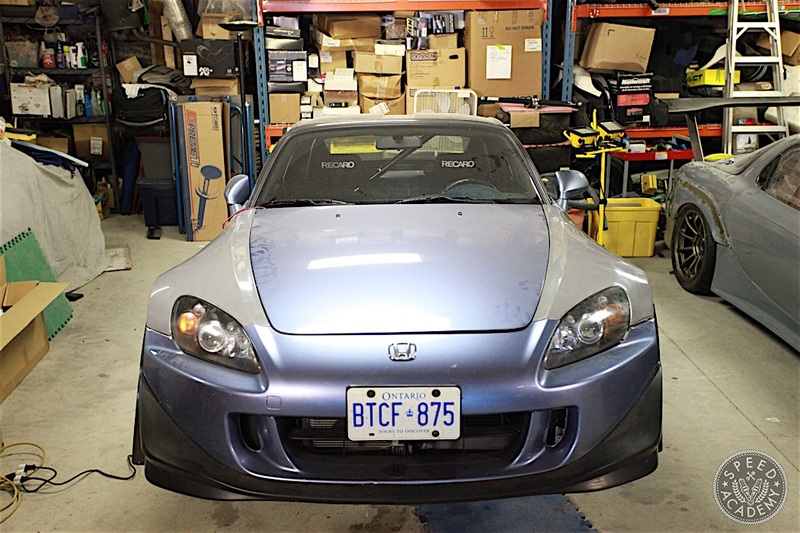 Ya, it cost us a bit more to buy genuine parts, but if real enthusiasts don’t support real innovators and real parts makers we’re all doomed to a life of running cheaply manufactured and ill-fitting junk. Be too legit to quit, people! 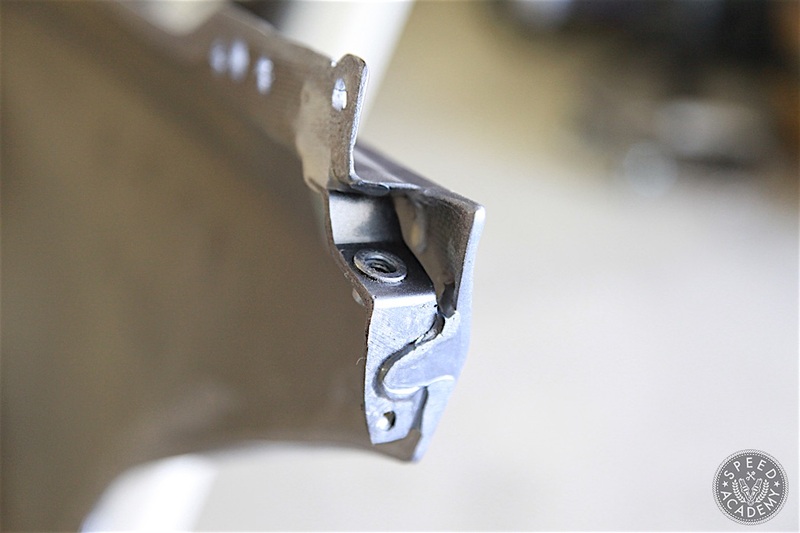 You’re not just supporting innovation when buying genuine, original parts, you’re also acquiring quality construction and fit. 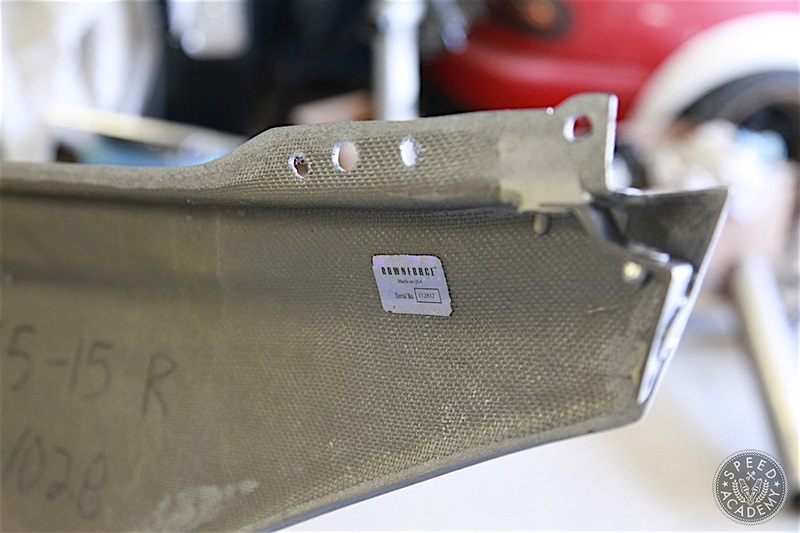 These ASM fenders are really nicely made from FRP, are very thick and strong, and when we held them up to the body they fit absolutely perfectly. 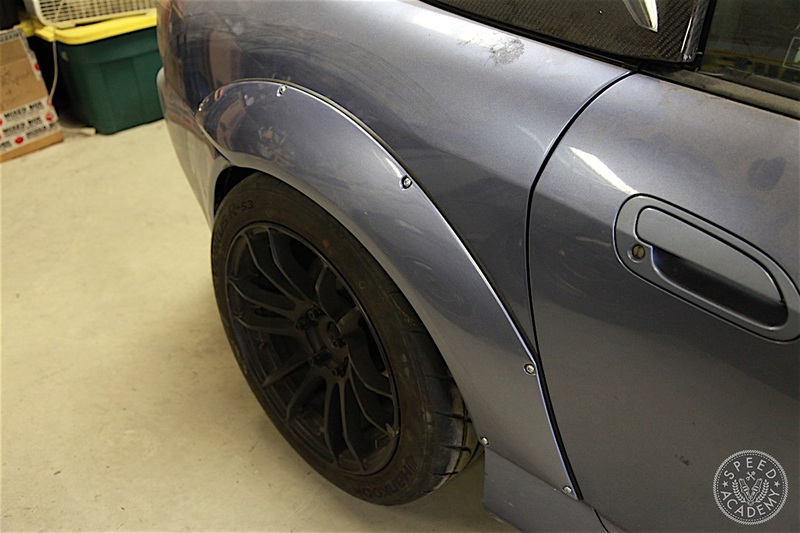 We simply taped the rear flares in position and drilled the holes required to rivet them in place. 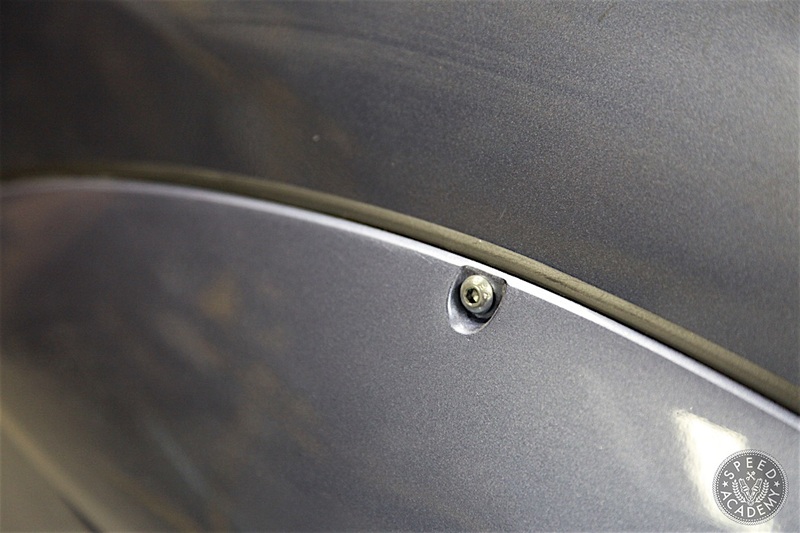 ASM supplies rivets but we opted to install rivet nuts instead, which we’ve shown you before in our splitter build. 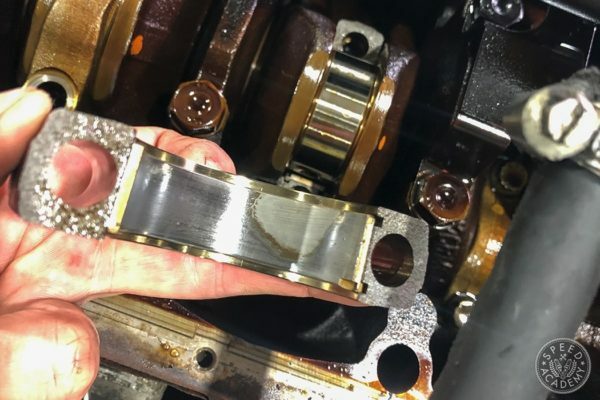 We like rivnuts since they let us fasten stuff with a bolt that’s easily removed for service or repair. 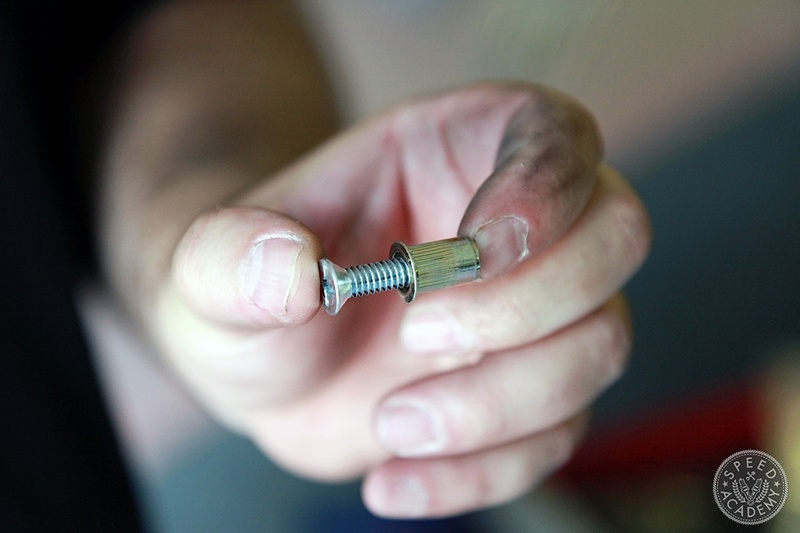 We got our rivnuts and bolts from Fastenal, opting for steel zinc coated material for strength and rust resistance. 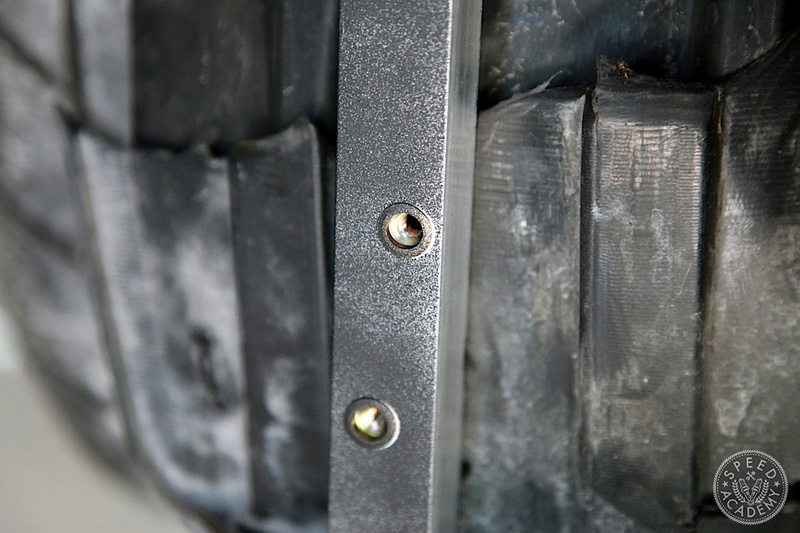 To make use of the extra 25mm of width you get with these flares, you have to cut the OE fenders to ensure the tires don’t rub. 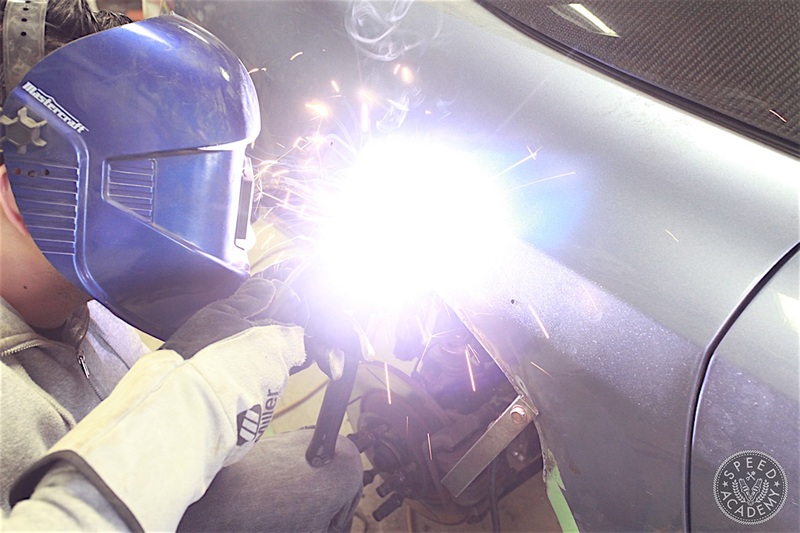 This is not a job for the faint of heart since you cut about 2” of the factory sheet metal along the fender lip off on the outer skin and then section and roll the inner skin up and weld it closed so that the body is strong, air tight and protected from water and rust. 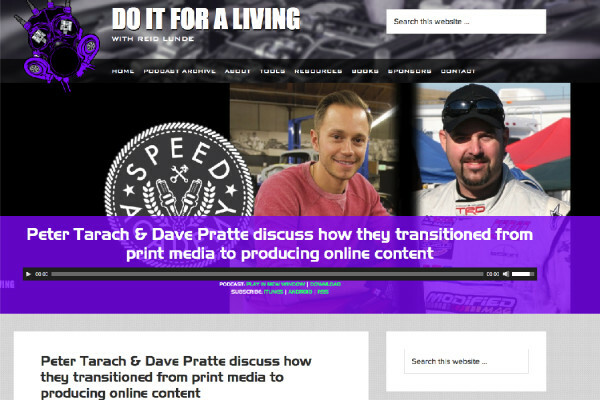 We covered this process in detail in the first video, so check that out if you want to see the approach Ken used for this. 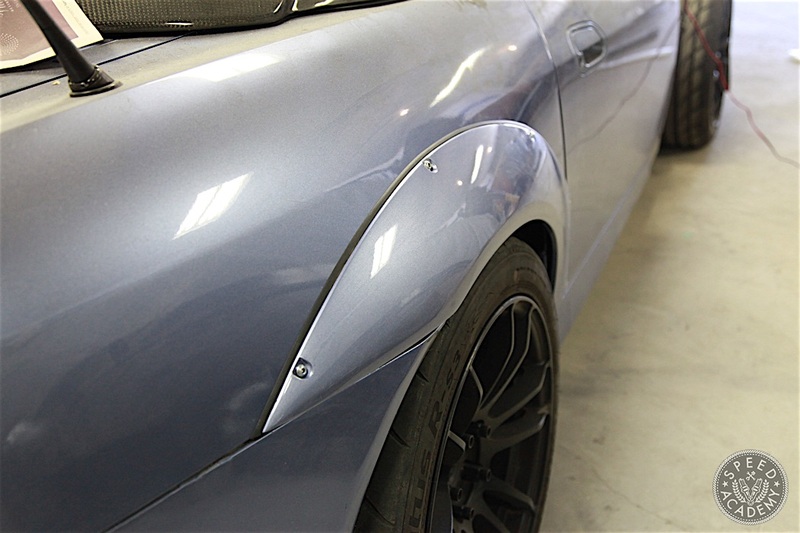 Once Ken was satisfied the cut and welded fenders were fully welded up, we took the extra precaution of running a bit of automotive grade sealant along the seam just to be double sure. 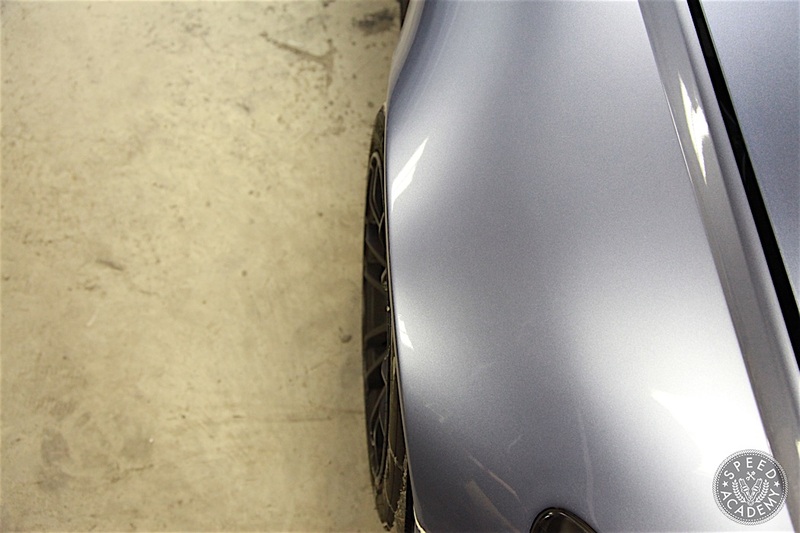 After that dried we primered the exposed metal and sprayed on some “paint matched” Suzuka Blue for good measure (the paint matched spray can from NAPA was too dark but it’s covered by the fender flare so it’s really not a big deal). 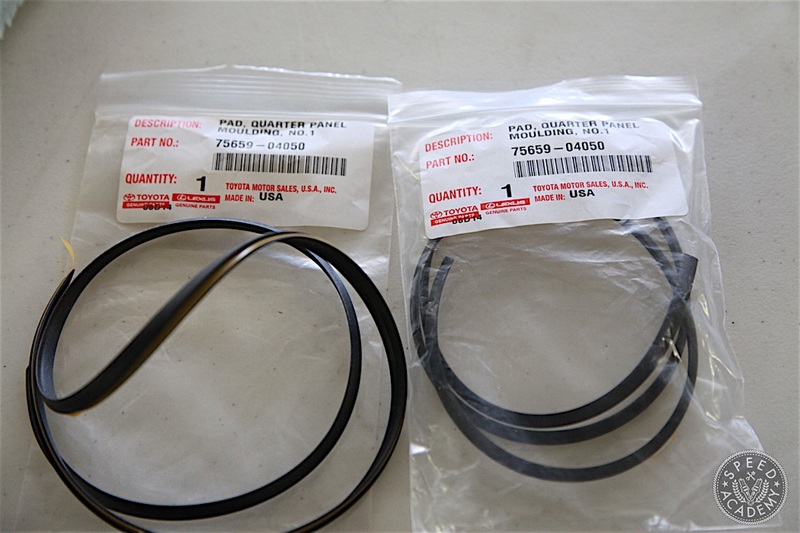 Although the ASM rear flares came with small rubber gaskets to seal them against the body, I decided to order these Toyota Tacoma fender gaskets because I like the OE fit and look they provide. 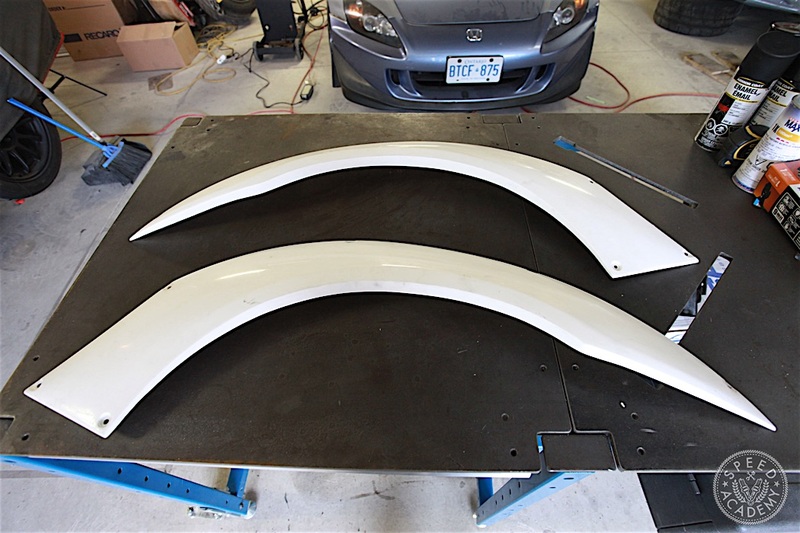 Once we got the flares back from our buddy Omar at Ottawa Auto Body & Repair in Hamilton, Ontario, all we had left to do was bolt them up with the these nicely contoured Toyota panel mouldings and we were officially 25mm wider out back! If you need quality body repair or paint work and you live in southern Ontario, I can double-vouch for Ottawa Auto Body as they also repaired the rear quarter panel on my MDX after my wife backed it into a giant green bin. 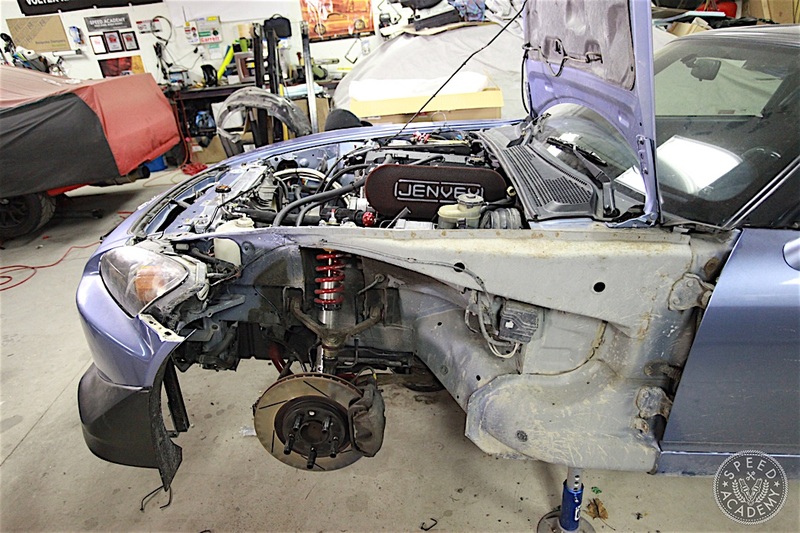 These guys do great work (the repair on the MDX is totally undetectible) at a competitive price, and more importantly, they’re true car enthusiasts who understand that car nuts like you and me want the job done right and on time. 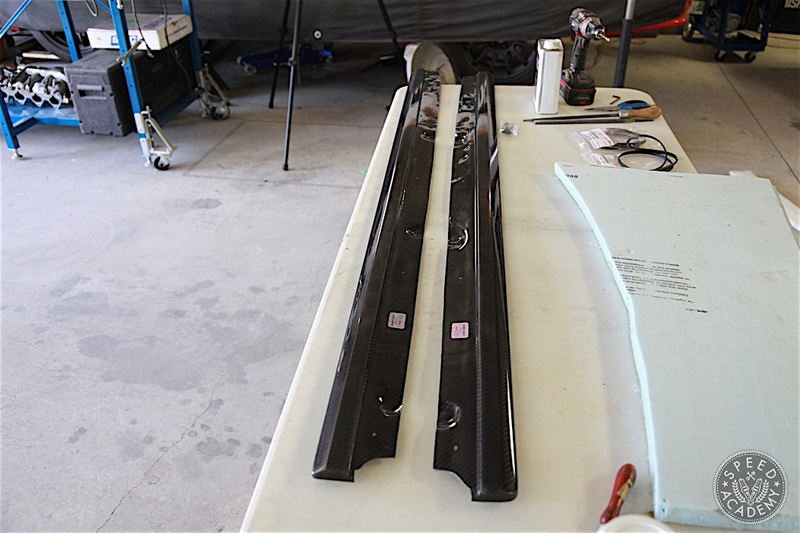 Moving on to the Downforce front fenders, as you can see they are built using FRP and are much stiffer than the thin and relatively flimsy factory sheet metal fenders. 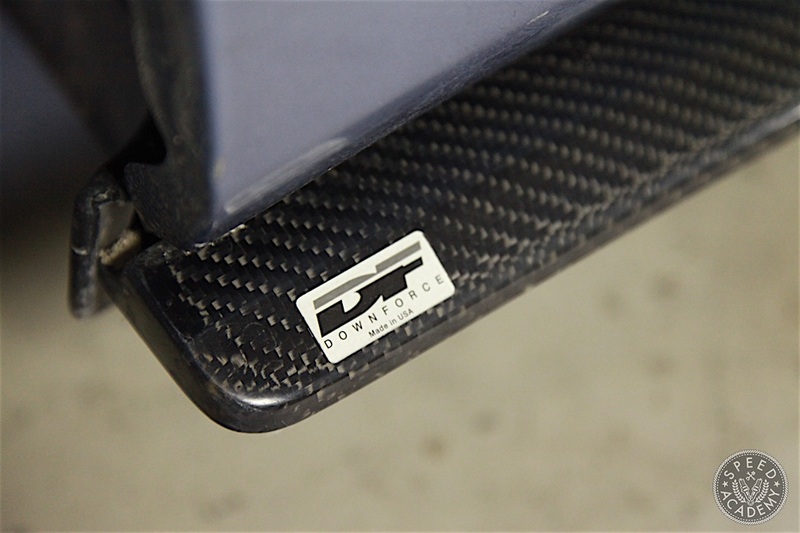 Downforce also reinforces several of the mounting points with carbon fiber to ensure maximum strength and mounting security. 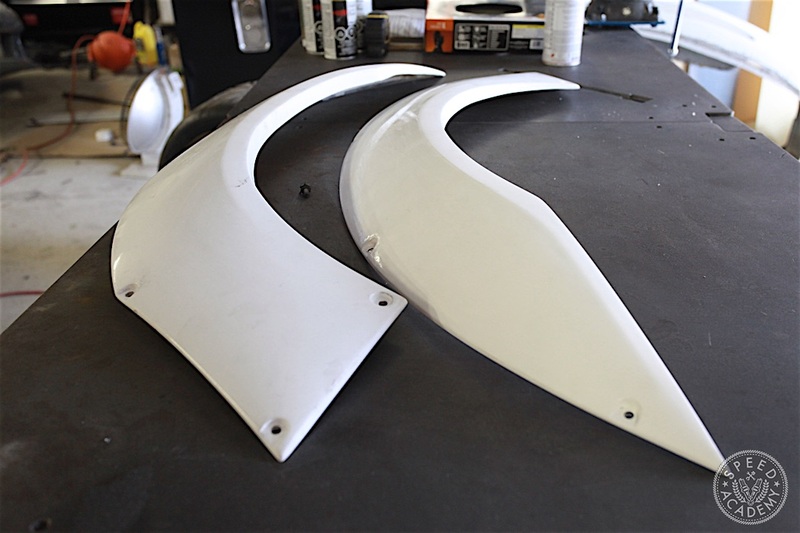 We test fitted the fenders before sending them out to paint, and although the overall fit was excellent, we did have to tune the mount holes a bit with a step drill bit to get all the bolt holes lined up and the fender fitting to our satisfaction. With the fenders back from paint, we swapped over the side running lights and bolted the fenders up to the chassis. We did a bit more bolt hole tuning to get them fitting the way we wanted, but in a half hour we had these bad boys bolted up and looking good. As you can see, the extra 30mm of wideness really helps cover the top of our 255/40R17 tires on 17×9″ wheels and we’re hoping we can stuff some 265/35R18 Hankook TD’s on 18×9.5” Rays wheels for a wider and stickier contact patch without any worries about fender rub. 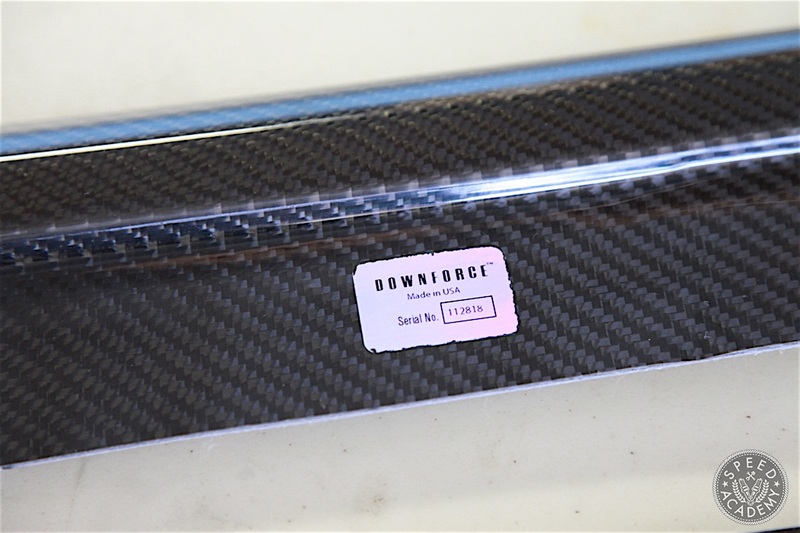 Downforce USA was also kind enough to send along their carbon fiber side splitters, which Ken and I installed in a snap. 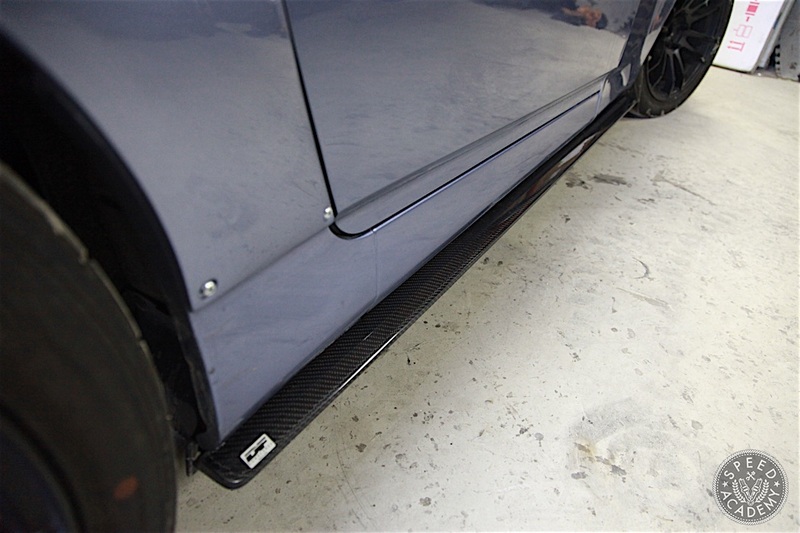 Just like their FR-S side splitters, these fit up beautifully to the underside of the rocker panels, making it a breeze to position them for mounting. 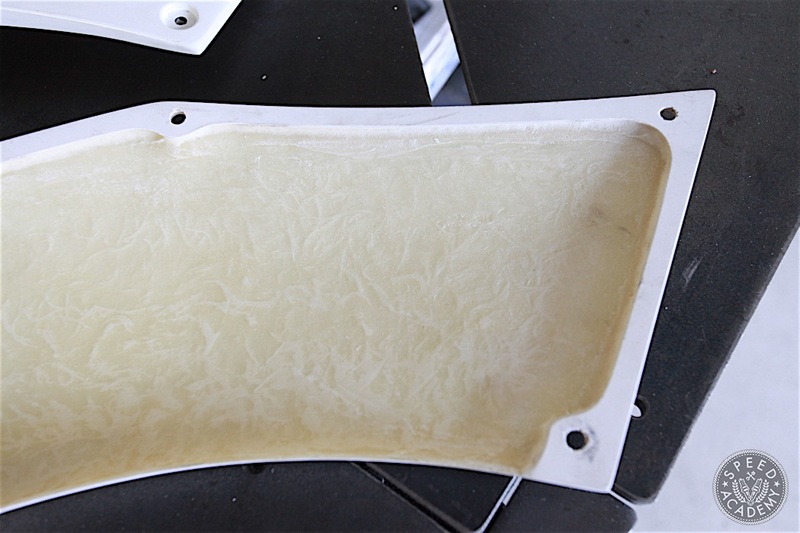 There are pre-drilled holes in them, so we simply drilled some small pilot holes into the rockers using the splitters as a template and then used the supplied self-tapping screws which have a nice rubber washer on them to seal them up tight. 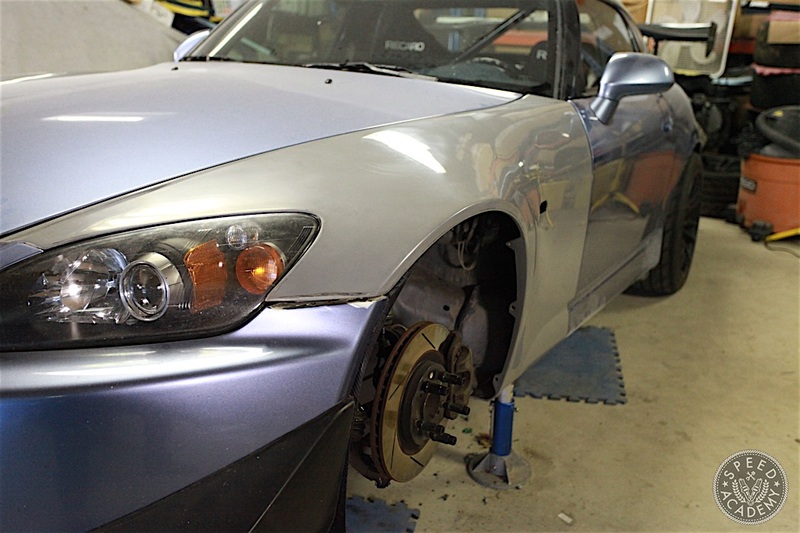 All in all, I’m stoked about how good our old AP1 is looking now. 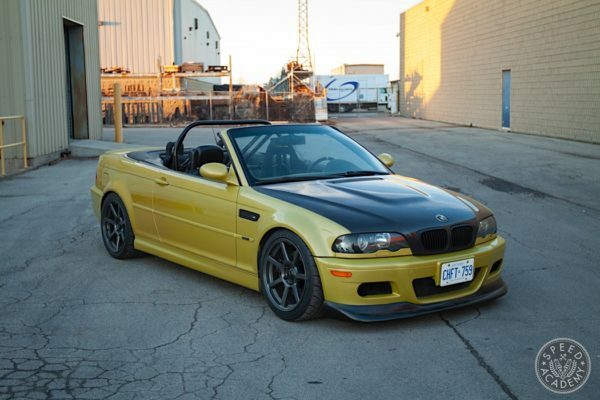 It’s really starting to look like the BADASS2000, and with a wider wheel and tire package we should be able to post some pretty badass lap times at Toronto Motorsports Park. As you’ll see from our GridLife coverage on YouTube we have some engine issues to sort out first, but we should have some track testing results for you in the not too distant future. We some some more power mods in the works, too. Hi i was wondering what size are the rivnuts and bolt for them? i would also like to know what size drill bit was used to make the 1st holes to match the fender and the 2nd bit size to fit the riv nut. I second that, what size rivnuts and bolt did ya use? 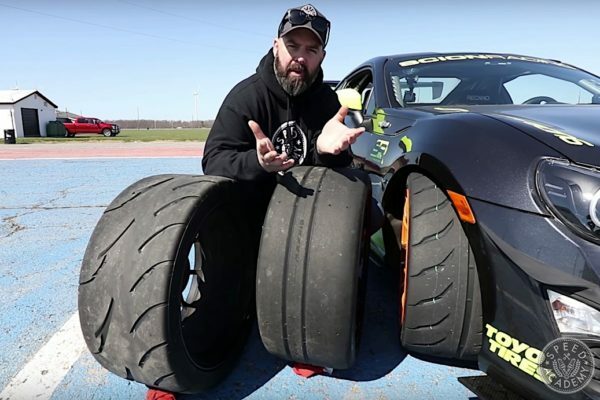 What are the size of your actual wheels on the car? 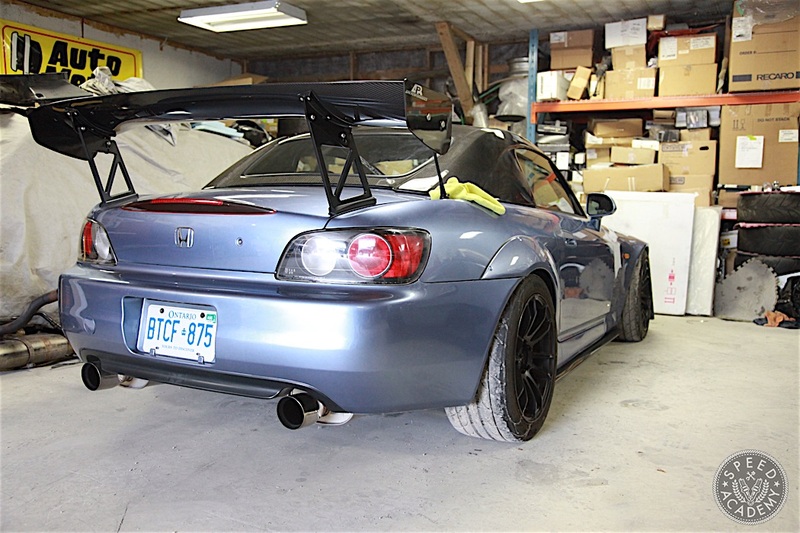 ( and the camber than you’re running ) I was wondering because I’m looking to do the same thing ( downforce front fenders & ASM rear flares ) but I cant find an precise answer at my question..